Three major hurricanes in less than a month, with Hurricane Ivan heading for twice-battered Florida, must surely spell stormy times for insurers. Not necessarily so, according to analysts interviewed by BBC News Online, who say the industry will probably be able to adequately cover claims relating to the disasters. The sums involved are certainly huge: Hurricane Charley which hit Florida in August will cost insurers an estimated $7.4bn (£4bn;5.9bn euros) while the cost of Hurricane Frances which hit the state in September is estimated at $3-6bn. 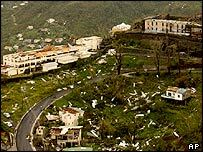 Meanwhile, Hurricane Ivan is still continuing on its path of destruction, having virtually flattened Grenada, and caused havoc elsewhere in the Caribbean. There are also several weeks of the hurricane season to go, and to have three sizable events in one month is "rare", points out John Moore, from the London-based Benfield Group, a re-insurance broker. But according to Hemant Shah, CEO of California-based Risk Management Solutions, US insurers can sustain almost five times the amount of damage which has taken place so far in Florida. "There is much better capitalisation, much better diversification of risk these days," Mr Shah told BBC News Online. "Insured loss of Charley and Frances is estimated at $10bn... US insurers can cope with $50bn of aggregate loss. "The Ivan loss would have to be major to affect that balance." The high level of insurers' preparedness can be put down to the radical reorganisation the industry underwent in the aftermath of Hurricane Andrew, which devastated Miami in 1992. Firms have changed the way they operate, with many refusing to cover businesses and homes in the more hurricane-prone areas along the Florida coast. They have also off-loaded much more of the remaining risk to re-insurers - the insurance companies who insure insurance companies. "Insurers are increasingly transferring risk away from themselves post-Andrew... people aren't looking to cover a huge event themselves," says Mr Moore. Additionally, in the case of US insurers, the government is offering more assistance than previously. The intention of some insurers to abandon Florida, after Hurricane Andrew cost them dearly, partly led to the setting up of the state-run Florida Hurricane Catastrophe Fund in 1993. Funded by premiums from insurers selling their products in Florida, it provides them with reinsurance if claims go above $4.5bn, up to a maximum of $15bn. US insurer State Farm, which is probably going to receive an injection from the Fund, estimated that its losses from Hurricane Charley would be limited to $200m - even though it insures about one in four Florida homes in the affected area. In the last 12 years, there have been no catastrophic weather events which means insurers have plenty of funds. The Florida Hurricane Catastrophe Fund now has about $6bn. Additionally, in the wake of Hurricane Andrew, many business and homeowners took out insurance, which also boosted the insurers' coffers. Before Andrew, many businesses had not taken out insurance for the "big surprise", Mr Shah added, a situation which has changed. So will insurance premiums go up following the recent storms? 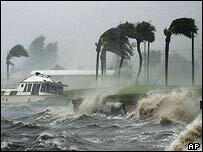 Many insurance companies raised premiums following Hurricane Andrew. "There is invariably a sharing of costs between insurer and re-insurer when there is an industry loss, as the market hardens and capacity is reduced," Mr Moore said. In theory, rises should be limited, according to Mr Shah, as insurers of businesses and homes are prevented by regulators from increasing premiums too much in one go. But costs of the hurricanes may filter down to the consumer eventually, if re-insurers, which are not regulated, increase their costs to reduce the inevitable earning losses caused by Charley, Frances and Ivan, he added.